Happy First Day of Summer!! Yep, it’s offical, today at 3:34pm. I was recently approached by a communication disorders graduate student at Southern Connecticut State University who was working on an assignment in examining clinical approaches designed for various communication disorders…and she choose CAS and me to connect with. It was an honor to answer her questions and to shed a little light on this communication disorder that has so become a part of our life. E.S. : When did you discover your daughter has CAS? What were some of the characteristics of CAS that you noticed your daughter possessed? Leslie Lindsay: When we gazed at our newborn baby girl, everything about her was perfect. The flawless creamy complexion, the tuft of red hair, and the denim blue eyes. Every other parent would tell you the same about their child; that they are stunningly perfect. And they are. We all want perfection. And most of the time, we get just that. But none of us are completely perfect. When Kate didn’t say her first word “on time,” we were a little concerned. When mothers from my child birth class (who still met up regularly), boasted that their child said, “elephant,” or called the dog by name, I cringed a little inside. Kate wasn’t even saying “mama.” But there was a brightness in her eyes, a curiosity. I knew she had ideas, I knew things were connecting in her world, she just couldn’t get them out. It was our pediatrician who suggested there might be something more at play. We shrugged our shoulders in her sterile exam room, the one with a string of babies lined up, their naked bottoms various colors of ivory, cocoa, and peach. We decided not to pursue any action for her speech concerns at 1-year, figuring she would ‘catch-up,’ as so many children did. She was a late-bloomer, that’s all. The next few months progressed with mommy-and-me outings, play dates, baby swimming lessons, chunky book reading, and everything else of early toddlerhood. Still, no words. Until the first ‘hi’ emerged, along with a giant smile–hers and mine. And then nothing. For a long time. In fact, even ‘hi,’ became less often used. I ached to hear ‘mama,’ but finally, the second word, ‘ball’ appeared when Kate was about 21 months old. It was a challenging word for her, but she was enamored with balls. And Papa, who got her to say it. Kate knew the rhythm of language. We had been reading to her from the day she came home from the hospital. We talked as we did things around the house. “Mommy’s going to change your diaper now…time to eat…oooh, what color do you see?” She knew where things were in the house. I could tell her we were going to ‘go bye-bye’ and she’d race to the back door, sometimes grabbing her shoes beforehand. And she’s make approximations, too. She’d point at the correct object, or gesture when she needed something. Still, she wasn’t able to get the words out; it was like she was perpetually tongue-tied. At 30 months, she was finally diagnosed with CAS. I say “finally,” like we waited an eternity, when in reality, she was still young; she would be okay. It felt like a final relief just knowing what was tripping her up. E.S. : Were you familiar with CAS before your daughter was diagnosed? Leslie Lindsay: Not at all. I had worked with kids in my job as a child/adolescent psychiatric R.N. Before that, I was well-versed in child development, psychology, and being around kids as a babysitter all through high school and college. Never once had I heard anyone talk about childhood apraxia of speech. In one of my clinical rotations in nursing school, I learned of dyspraxia, uncoordinated movements of the body and mouth. I knew some stroke patients needed rehabilitation following a CVA. I knew of speech and language loss from a TBI and I knew of Broca’s aphasia. Still, I had not heard of childhood apraxia of speech. E.S. : Which resources were most helpful for you when you first began researching CAS? Which resources do you call upon most now? Since then, there have been other groups that have sprouted up: CHERUB, Speech Train, and countless Facebook Groups that weren’t exactly there when we were first embarking on the CAS journey. ASHA also has a good deal of information on CAS and that’s probably where I’d turn now, though Kate’s apraxia has progressed so much that we don’t feel we need the resources so much any longer. E.S. 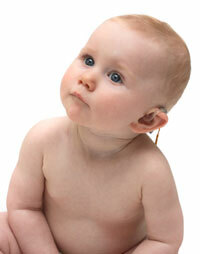 : As a parent of a child with CAS, what has surprised you about current research addressing CAS? What direction would you like future research to take? Leslie Lindsay: Everything! In some ways, I was surprised to learn that CAS is a neuromotor speech disorder and that sometimes, kids with CAS have more neurological concerns; a package deal, if you will. They may have AD/HD in addition to CAS, or perhaps Down’s syndrome or autism. Or even all of the above. In our case, we are dealing with both CAS and AD/HD, which makes for a highly active, inventive, and determined young lady! E.S. : How has the nature of your daughter’s communication changed with intervention? E.S. : Which interventions have been most effective for your child? Leslie Lindsay: Many will swear by PROMPT and that might very well work for them. Our therapist used a variety of approaches, including PROMPT, Cued Language, Sign Language (ASL), and movement. I firmly believe it was the movement (occupational therapy/OT) piece that unlocked Kate’s voice. Plus, we worked tirelessly with her at home, working speech practice into our daily routine so it felt natural and accessible. E.S. What are some coping strategies she has adopted when communication becomes difficult? Leslie Lindsay: Kate is full of ideas and she wants to express them! When she was younger, it was the “writing center” in preschool where she would draw, craft, create, and everything in between. As she got a little older, she became more active in her play instead of the docile ‘tea party’ style of play so typical of little girls and was a bit more ‘rough and tumble,’ perhaps more in line with how little boys play. Around the same time, she would gesture or bring me something she wanted to do. I still chuckle at the memory of her bringing me a swimming suit in the dead of winter and wanting to go to the pool. I let her wear the suit around the house that day, and she gleefully pretended to swim on the family room floor. E.S. : What are some suggestions you’d like to make for parents of children with CAS? What would like future SLPs to know about treating children with CAS? Leslie Lindsay: Parents--know that as serious as apraxia seems, it will improve. It takes years of therapy and a multitude of patience on your part and your child’s but you will all get there. Also, know that you are an important advocate for your child. Since she can’t speak for herself, you have to, but do so in a supportive, encouraging manner. 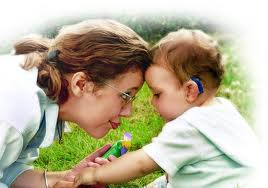 You’re an integral part of the team, a partner with your child’s SLP. SLPs–we want what’s best for our child. We want to help in all ways possible. We want to know what you like about our child, what her potential is, how you see her progressing. We want to know her treatment goals and how she is meeting them. Finally, we want to know if we are doing the right things. For more information, or to purchase SPEAKING OF APRAXIA (Woodbine House, 2012), click here. Leslie Lindsay is the author of Speaking of Apraxia: A Parent’s Guide to Childhood Apraxia of Speech (2012), Woodbine House, an award finalist for both Reader’s Choice and ForeWord Review, and 2nd place winner of the Walter Williams Award for Excellence in Non-fiction. A former R.N. at the Mayo Clinic, Leslie has worked extensively with children and has a background in psychiatry. She has participated in several fiction workshops, most recently at The University of Wisconsin—Madison. In addition, she contributes to two critique groups, and works closely with a critique partner. She lives in Chicagoland with her husband, two young daughters, and a basset puppy. A happy, easy baby: that’s what our daughter Lauren was from the time she was born. She nursed and napped often and easily and started sleeping through the night at just over four months old. Overall, our beautiful blue-eyed daughter fit into our family seamlessly. She and I found our rhythm as mother and daughter, and life with a baby in the house was sailing along smoothly. Somewhere before her first birthday, my husband starting seeing signs that something was wrong. She wasn’t cooing or babbling. Because he has two older daughters, he knew this wasn’t normal. When she ate solid food, she stuffed her mouth full without swallowing. And then things started to snowball… her first words were late, she wasn’t walking yet, her vocabulary was nowhere near where her pediatrician recommended. It was clear: she was missing many of her milestones. Something was wrong with our little girl’s development. But what was it? Why was this happening? Little did I know that we were beginning our journey with Childhood Apraxia of Speech, or CAS. We had a long road ahead of us, and it wasn’t going to be easy. Around this time, our pediatrician referred us to First Steps, Indiana’s early intervention program. Lauren qualified because of her developmental delays, which led to over a year of physical and speech therapy. When she “aged out” of First Steps at age three, the next step was to see if she qualified for a Developmental Preschool based on her speech. (A developmental preschool is a preschool especially designed for children with special needs, whether it is a disability or a developmental delay.) She qualified, so she was able to continue getting the speech and occupational therapy she so desperately needed. On my daughter’s third birthday, we strapped her little backpack on, watched her make the big climb up the school bus steps, and sent her to preschool. She literally rode a school bus (with special car seats for toddlers, but still!). We also learned that music therapy and hippo-therapy could help, so she went to music classes and horse-riding therapy. We still had no idea why this was happening: her speech was jumbled, she couldn’t say her own name, and she couldn’t keep up with kids her age on the playground. After Lauren started at her amazing preschool, we finally got our answer. 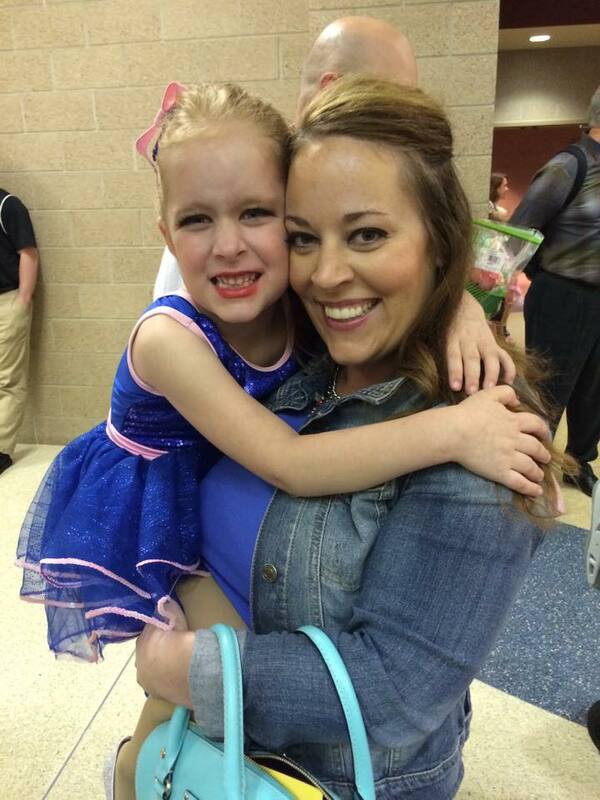 Lauren’s speech therapist thought it was Apraxia of Speech, a neurologically-based motor speech disorder. Without getting technical, basically this means that when her brain tried to tell her mouth or muscles what to do, the message got scrambled. She knew what she wanted to say, but when the words came out, they were often unintelligible. I immediately started researching. Thankfully I found an amazing book that changed my life: “Speaking of Apraxia: A Parent’s Guide to Childhood Apraxia of Speech” by Leslie Lindsay, an R.N. and mother with a child like mine. I knew it: this was it. We finally had our answer. We learned that CAS has nothing to do with intelligence. And we finally started to see the light at the end of the tunnel. Lauren is now seven years old, is just as easy going and happy as when she was born, and is the greatest joy in my life. She ended up spending three years in developmental preschool. We had to hold her back and start her in kindergarten a year later than her peers, upon her teacher’s recommendation at her annual IEP meeting. (An IEP is a document that all children who qualify for special services receive, and is developed by parents, therapists, teachers and other school staff during an IEP meeting.) She still gets speech therapy twice a week at school, and probably will until at least the third grade. CAS has slightly affected her ability to learn to read and recite her numbers. But overall, she loves school, is incredibly social, is keeping up with the other kids, and even participated in dance and swim lessons last year. Our daughter was lucky enough to be diagnosed early, had access to therapy, had a family and school that were extremely involved in her development, has had an easy-going temperament which didn’t cause her to get frustrated, and is motivated to try at her therapy sessions. All of these things have led her to where she is today. This process of mothering a child with special needs has been challenging. I am an achiever, a perfectionist, and extremely type A. I have had to accept that Lauren will do things at her own pace, in her own time. Play dates were not easy for either of us when Lauren was younger. It’s not easy to hear that your child is struggling at school during IEP meetings. What I’ve learned through Lauren’s diagnosis of CAS is that life is not always easy, and sometimes the hard things make you better: kinder, more understanding, more empathetic, more patient. If your child is struggling with a delay or disorder of some sort, no matter where you are with a diagnosis, hang in there. Keep the faith. Be your child’s advocate and biggest cheerleader. Do the work. Be patient with both yourself and your child. And know that it does get better, I promise. Vanessa is a proud Hoosier, currently residing in and raising her family on the north side of Indy in Westfield. She earned an undergraduate degree in Real Estate and a Master’s degree in Accounting from Indiana University. After graduation, she built the majority of her career at an S&P 100 company in Indianapolis. Recently she stepped away from the business world to recharge and focus on her family. Vanessa met her husband Ian in 2008, as well as his two beautiful daughters Audrey and Olivia, and the two quickly welcomed their daughter Lauren to the world in 2009. She enjoys being a “girl mom” and having adventures around town as a family. Now that she’s out of the rat race, she enjoys volunteering at the Grace Church choice food pantry and planning parties for her daughter’s classroom as a room parent. Her interests include working out, reading, anything red velvet, spoiling her two cats Gilbert and Grady and traveling to Michigan as often as possible. It’s always such a joy when I can host a lovely writer on my blog–one that brings a fresh new voice and approach to your world. Join us today as we delve into one of my favorite topics: managing life with a child with AD/HD. Whether it’s your own, or perhaps a student in your classroom, we can all benefit from learning a little more about how to understand this often mis-understood diagnosis. This comes to you from Kentucky a mother of two. Take it away, Vee! Make sure your child has a strong support system. ADHD can make even the most mundane tasks a challenge, so be his biggest fan. Don’t merely correct bad behavior, recognize and reward good behavior. Provide him a safe outlet to vent his frustrations, whether it’s with you, a sibling or even a canine companion. ADHD often causes people with the condition to feel isolated and detached from family and friends, so make sure your child knows you love and support him exactly how he is. Keep your expectations in perspective. ADHD affects impulse control, focus, organization, and planning. It doesn’t mean you should “baby” your child or give him unfair advantages compared to his siblings; it merely means you may have to provide a few accommodations. It could be as simple as helping him create a list of exactly what needs to get done in order for his room to be “clean.” Instead of becoming frustrated if he struggles with a task, use the opportunity to figure out how he works best and embrace it. Make sure communication is always clear. Use simple, direct language when giving your child instruction, but don’t be condescending. When a problem arises, ask your child what’s challenging him and come up with a solution together. Listen to him, and if he interrupts you while you’re speaking, calmly ask him to let you finish your thought. Come up with a nonverbal cue (like holding up two fingers) that can be used during arguments as a polite reminder to take turns speaking. Don’t forget about the siblings. Educate your other children about ADHD so they can better understand their sibling. Establish house rules that apply to everyone, and clearly explain any accommodations for your child with ADHD. Don’t split time between the kids; instead, organize activities the entire family can enjoy together. Perhaps most importantly, let them all be kids. Don’t make your other children feel like they have to co-parent their sibling with ADHD, and don’t blame them if he misbehaves under their supervision. Never underestimate your home’s aesthetics. Ensure that your entire home, especially your child’s bedroom, is kept neat and organized. It may even help to color code and label items with their rightful homes. Even your décor can make a difference: earth tones like greens and blues have been known to create a soothing atmosphere, especially when combined with serene artwork of natural scenes. Parenting a child with ADHD is no small feat, but don’t forget to also take care of yourself. Set the example by eating right and exercising, even combining routines with your child. Work together and soon, this checklist will simply be your way of life! Bio: Vee Cecil is a wellness coach and personal trainer. She is passionate about educating others on health and wellness topics via her blog. She lives with her husband and two children in Kentucky. Coming up in April: Heather Shumaker’s new book, IT’S OKAY TO GO UP THE SLIDE (TarcherPerigee; March 8, 2016) and Adam Grant’s ORIGINALS: How Non-Conformists Move the World (Viking; February 2). When I was younger, my parents emphasized learning a second language, preferably Spanish. It was a close cousin to Italian, my paramour and so Spanish it was. I’m no where near fluent, but I can see the appeal it had to my parents. I’ve used my limited Spanish skills in various jobs I’ve held from R.N. to writer, and sometimes in the highly Hispanic community in which I live. Written by Texas elementary teacher Hugo Ibarra and expert ELL educator John Seidlitz, SOMETIMES is written from first-hand experiences from their students and parents as well as Ibarra’s own story of immigration. Andreas and Clara are living in Mexico with their mother. Their father has been absent from the family for some time now, sending money to the Qwik Mart each week…until one day the money stops. Eventually, Andreas and Clara’s tia (aunt) arrives from Texas with a promise to take them home with her, but leaving their mother behind. Immigrating from Mexico to a strange U.S. town brings new sights to their young eyes, from boarder patrol to a new school, Andreas and Clara can’t fathom a life away from their mother. With help and encouragement from a beloved teacher, their young lives improve and a welcome surprise comes at the end. Told in simple, easy-to-read text with colorful images, SOMETIMES is a most touching story on immigration, an authentic experience being made a reality by more and more people. Best suited for kids ages 4-8 and their caregiver, SOMETIMES is a heart-warming tale of what some families have to do to survive, as well as the amazing sacrifices and influences of an amazing teacher. Ask your child(ren) about teachers at their school. Is there a particular teacher they feel comfortable talking with about their worries and concerns. Emphasize that teachers play unique roles in the lives of their students: stable role model, leadership, mentor, and more. Have a discussion with your child(ren) about what immigration means. With 2016 being an election year, your children may be hearing more and more about the concept. What is your stance? Consider sharing America’s history with your children/students. After all, America is a melting pot of various cultures. Did your family immigrate from Ireland? Italy? Germany? China? Somewhere else? Read about Ellis Island. Study your family history/family tree. Talk about how teachers can help students with any transition, whether it’s a move across town or across the country, teachers are there to help and encourage. Do you have neighbors from another country living near you? Perhaps you can attempt to understand their ethnic backgrounds. In our suburban Chicago suburb we live near families from Russia, India, China, and other countries. How might we break cultural barriers and become neighborly? What if they don’t speak English?